Bella & Leo are looking to make the BOTB 2015 Champ Proud – That is Grandma to Bella! Here is a little more about Bella and Leos Stormin Venture who will be running at the BOTB in August. Tell us a little about your horse: Leo used to be my brothers horse. I wanted to ride him one day and I’ve been riding him since! Everyone has a favorite place to run, tell us what yours is: CBarC. The workers are really nice and my horses love to run there. Each year we all love to attend a favorite show, what is yours? Barrels and Bling, Bash4Cash and Royale. These are the races I can’t wait for every year. 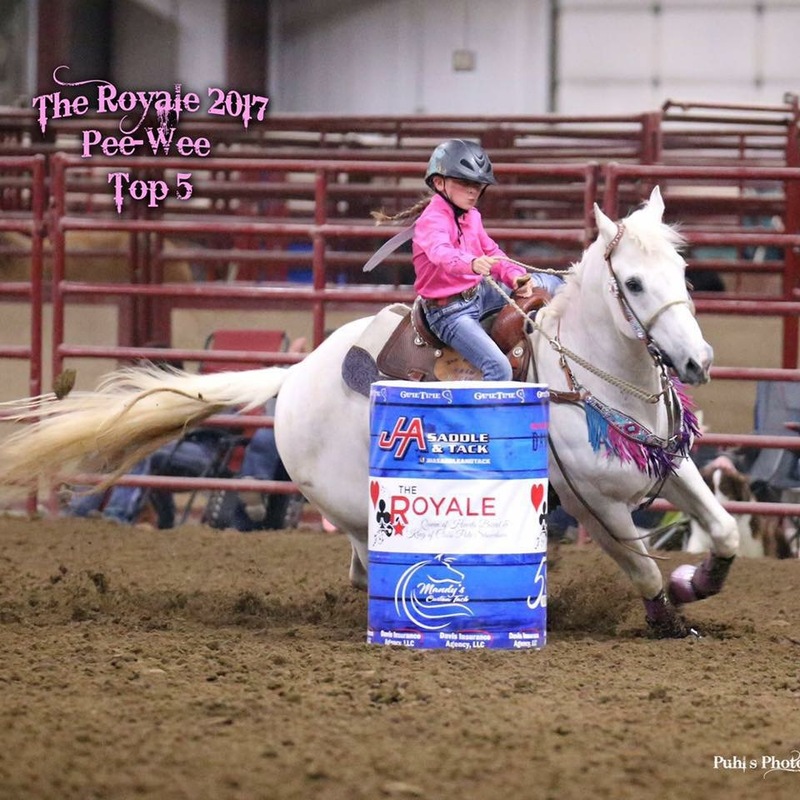 Give us a little more insight about you and your horse: I love barrel racing and have been riding since I was 3. I have a horse Leo and a pony Rusty Boy they are both really fun to ride they both run poles and barrels. My dad Travis Woodard and grandma Rhoda Carnahan inspire me and I hope I can ride as good as them. Previous Nina and Lily are hoping to follow in her Daddy’s footsteps with a BOTB win – Pee Wee Win that is! Next Cheyenne & Belle’s Lily are coming for it all at the BOTB!